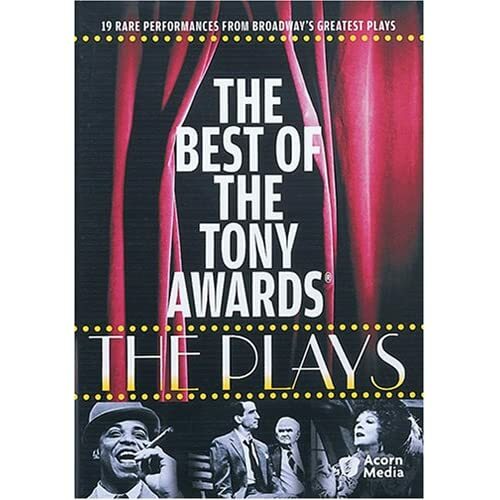 Tony Awards: The Plays (The Best of) - BUY THIS DVD! Four-time Tony�-winning actor and playwright Harvey Fierstein is your host for a compilation of amazing dramatic performances from the archives of the Tony Award� broadcasts. Legendary stars perform key scenes from 19 legendary shows, performances seen only once in their original telecast. Collected here with commentary by a Broadway veteran, they become a treasure-trove for fans of great drama. THEN SEND IN YOUR NAME AND ADDRESS TO contests@efilmcritic.com. Put "SPEED THAT PLOW, TONY!" in the subject line and cross your fingers. We will draw names and one of the DVD packages from Acorn Media could be yours. Only 1 entry per household.